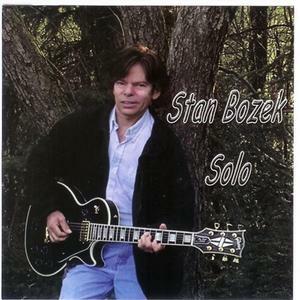 After years of playing on the road as a sideman, Stan Bozek is now captivating audiences with his solo performances of primarily instrumental finger style guitar music. Adept at a variety of genres, a typical set may include everything from Bach to Beatles, Eagles to Dave Brubeck, Chet Atkins to James Taylor in addition to an occasional rag or show tune. Stan has recorded 4 CDs and songs from these CDs are played extensively on Pandora.com as well as other internet music services. When he is not booked as a solo artist, Stan continues to freelance as a lead/slide electric guitarist in the country, classic rock, motown and contemporary Christian genres.